This Wildchild outdoor adventure and climbing party is designed for those thrill-seeking kids brave enough to take on an adrenalin-fuelled, action-packed adventure. ZIPWIRE – Experience the ultimate thrill of our Wild Arial challenge – a nerve tingling walk to the top of the platform, before you take that leap of faith, sailing over the treetops and waving to your friends as you whizz along the 80m zipwire. (Maximum 18 children). ARCHERY – The perfect activity for those wanting to keep their feet on the ground – even if just for some of their party! Pick up some impressive archery skills and techniques from our qualified instructors on the outdoor archery range and use your new skills to go for gold! Activities: Party Duration 2.5 hours. 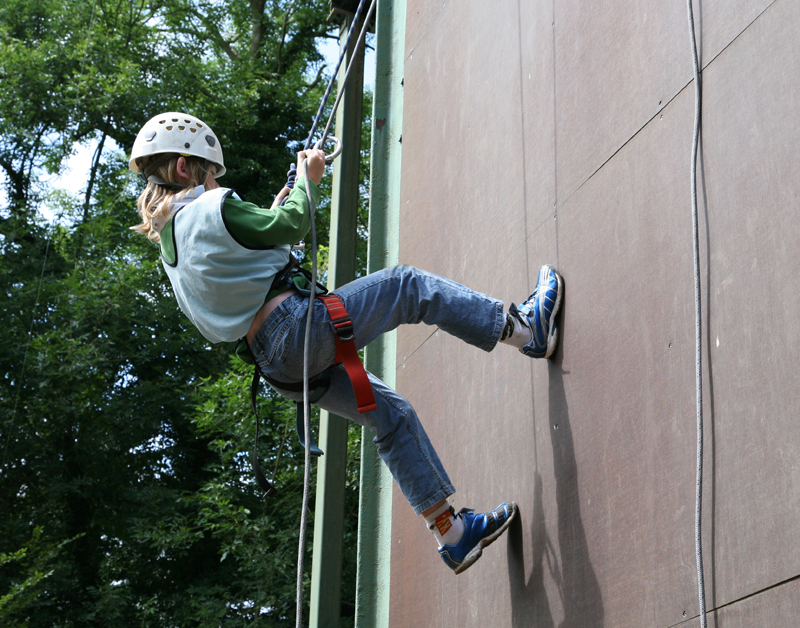 Choice of 2 activities from either Zip-wire (Phasels only) Cratestacking, Abseiling or Rock Climbing for children. Additional party guests for £12.50 each (instead of £15.00 each). *Get Wilder offer only valid when you confirm and pay for 16+ guests at the time of booking. “Thank you so much for yet another fantastic climbing party. The girls all had an amazing time and this will definitely be one of the birthday parties they talk about all year”. “Thank you so much for the party yesterday. Daniel had a great time and so did his friends. From our point of view it all went very smoothly so we could both actually enjoy the occasion as well”.